Manville, New Jersey is located in Somerset County, close to the center of the state and is home to a predominantly Slavic population. Many of the residents of this quiet town are of Eastern Polish and Western Ukrainian decent and a lot of the local businesses are geared toward this population. The town was named for the Johns-Manville Corporation that had been a large manufacturing giant in New Jersey for many decades throughout the 20th century. The town was formed in 1929 through an act of the state legislature of New Jersey. 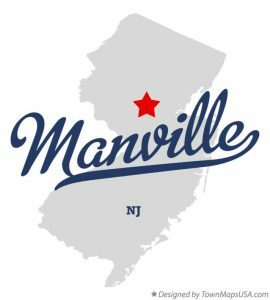 Currently, just over 10,000 people call Manville home, according to the U.S. Census of 2010. That was an increase of just one person from the year 2000 A.D.
Manville may be best known throughout the rest of the region, and the country, because it is prone to flooding when the Raritan River and Millstone River overflow their banks during periods of excess rain. The low lying land that makes Manville such an attractive and quiet place to live poses problems during high rainy seasons. Hurricane Floyd devastated the community in 1999 when it dumped more than 10 inches of rain on the region, effectively decimating the South side along Main Street and a significant portion of the North side. Residents of Manville are tested when it comes to tragedy. They know what it’s like to have to deal with 12 feet of water along their Main Street and they keep moving forward, undeterred and always ready to pick up the pieces and carry on. There’s an indomitable spirit among the residents of Manville that deserves respect. 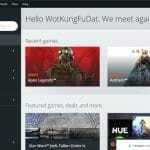 Yet even the most hardened and determined people can become flustered, frustrated, and worried about what they may have lost or how they can continue to work when their computer or other computing device stops working. People of Manville are connected to the rest of the world through technology. They rely on laptops, tablets, and even mobile devices, so when they need computer repair or data recovery services, where can they turn? The answer is Dave’s Computers. Dave’s Computers understands the dynamics that make Manville such a great place to live and the allure of this small mid New Jersey community. The world has become a much smaller place thanks to computer technology and that means we rely on it more than ever. Being able to remain connected to the outside world and keep updated with the news, weather, and work that needs to be done is vital to the livelihood of the residents of Manville. 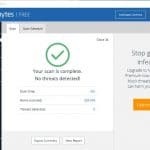 Dave’s Computers offers Computer Repair in Manville NJ and Data Recovery services with fast turnaround times and the most reliable service you’ll find anywhere throughout New Jersey. It takes a special kind of person to appreciate this wonderful state and it takes a strong individual to call Manville home, but that doesn’t mean you won’t worry if your computer fails to boot up or crashes in the middle of running a program. There are many different risks that threaten computers today, many rivers that run along the low valleys of the computer’s registry and hard drives and apps. No matter what kind of computing device you have, no matter what happened or how much information you have saved on that device, it’s possible to have it repaired and all of that data salvaged. When you live in Manville, you want a reliable computer repair and data recovery company. You’ve got it with Dave’s Computers. Contact us to find out just how fast, easy, and reliable our computer repair and data recovery services are.